Glaciers have for decades supplied crucial water to mountain communities worldwide—but they also quench spiritual thirst. The ice serves as cultural and religious touchstone for Tibetan Buddhists at the edge of China’s Mingyong Glacier, Sherpas living high in Nepal, Paqos dispensing wisdom and medicine in the Andes. All share a deep reverence for local glaciers. For these communities, climate change is cultural change: As glaciers melt, their traditions, values and outlook are changing. Are the gods mad? Does a dying glacier mean a dying people? Are we giving proper reverence to life-sustaining resources? These are the questions framing changes underway now and experienced by often poor, largely indigenous people worldwide. Western climate policy rests largely on the physical and economical. Increasingly experts argue that these spiritual beliefs—and people’s relationship with the land—must become part of the conversation. The most prolific voicing of this occurred in June, when Pope Francis released a 192-page encyclical laying out the argument for religion to join forces with science to combat global climate change. The pope urged an “ecological conversion” for spiritually minded people worldwide, a message that continued as he visited President Barak Obama at the White House, spoke before a joint session of Congress, and addressed the United Nations General-Assembly. And others think Pope Francis is on to something. “We need to open our minds to looking at climate change not only as a biophysical, political, economic problem, but at the ramifications of people’s own reality … and understand humans and other forms of life as beings enmeshed in their ecology, and not standing apart from it,” said Elizabeth Allison, a researcher and professor at the California Institute of Integral Studies’ department of philosophy and religion. 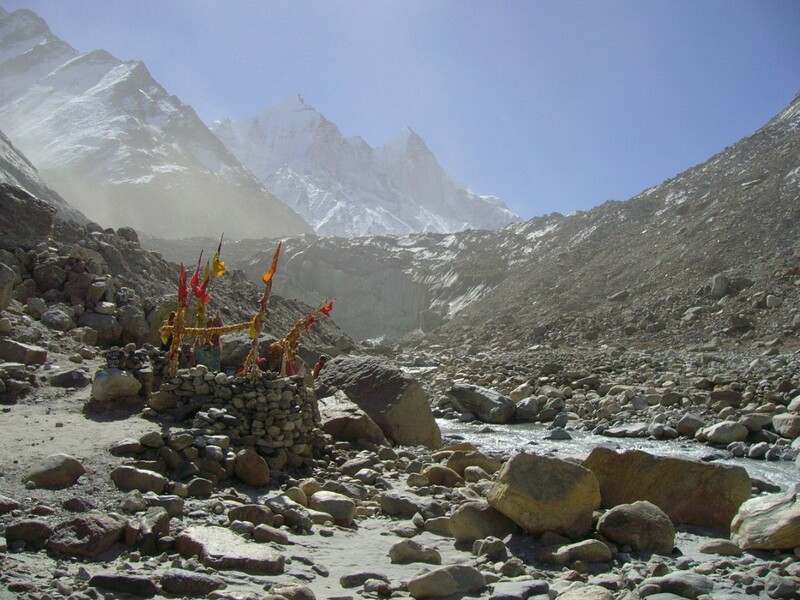 Allison cited the Tibetan Buddhists, the Nepalese Sherpas and Peruvian Quechua in her recent study that examined climate change and the spiritual significance of glaciers. Such voices must be heard, she said, even if they interpret environmental changes differently than people in developed countries. Some Nepalese Sherpas cite a link between moral and spiritual decline with that of glaciers. Tibetan Buddhists have suspected a dearth of Buddhist devotion and visitors’ lack of respect for the retreat of the Mingyong Glacier in China’s northwest Yunnan Province, which is one of the fastest melting glaciers in the world. Taking spiritual beliefs into account is important, Allison added: People’s ability to adapt to a changing climate depends as much on their mental state as formal policies and treaties. And the consequences are very real. In the Andes, the local Quechua used to cut down ice chunks from the glacier on Mount Ausangate and drink the restorative liquid with family and friends. Today that religious rite is forbidden. While the people have adapted, such “spiritual dislocation” can lead to social unrest, Allison writes. And the Quechua agree—as local prophecy “suggests that the world will end when the glacier is gone,” she notes. Including such views in treaties and global policymaking won’t necessarily move the needle on climate change policy or agreement, said Dan Kahan, a professor of law and psychology at Yale Law School who has studied how people perceive risks, such as climate change. “If you look at who’s concerned about climate change and who isn’t, the difference isn’t how spiritual people are,” Kahan said. Kahan’s research has found that people largely perceive risks based on their connection to cultural groups they associate with. However, Emmanuel Vaughan-Lee, a filmmaker and founder of the Global Oneness Project, a series of educational films on environmental and social issues, said that tapping into this religious practice and spirituality can help instigate a sense of environmental urgency in people of faith. “It could help people form connections, when people see that problems aren’t just an external situation, but an internal situation, there’s more meaning to them,” said Vaughan-Lee, a longtime advocate for the merging of spirituality and environmental awareness. Another reason important reason is that people in many of these areas are often left out of global policy making, Allison said. Mountain communities and coastal villages are often poor and have the most to lose from climate change impacts such as glacial retreat and sea level rise. “We have to figure out how to include indigenous thinking into global policy making … especially when those people are the majority,” she said. Both Vaughan-Lee and Allison said the Pope’s encyclical was a step in the right direction in injecting spirituality and religion into the environmental realm. “For years environmentalists and social justice workers shied away from spiritual or religious arguments, because maybe they thought it makes them seem less serious in eyes of mainstream public,” Vaughan-Lee said. This story was originally published by The Daily Climate, an independent, foundation-funded US news service covering energy, the environment and climate change. Facts and Opinions is a boutique journal, of reporting and analysis in words and images, without borders. Independent, non-partisan and employee-owned, F&O is funded by you, our readers. We do not carry advertising or “branded content,” or solicit donations from foundations or causes. If you appreciate our work please support us with a contribution, below, of at least .27 per story –or a site pass for $1 per day or $20 per year. And do spread the word.